Establishing trust is not a one-way street. Trust takes risk. And that risk doesn’t just come from your clients taking a leap of faith when you hand them a proposal and a firm handshake. To build trust, especially with your clients, YOU have to take the risk too. If you’re trying to sell your services, you already know the value of being trusted. Being trusted increases value, cuts time, lowers costs, and increases profitability—both for us and for our clients. So, we try hard to be trustworthy: to be seen as credible, reliable, honest, ethical, other-oriented, empathetic, competent, experienced, and so forth. But in our haste to be trustworthy, we often forget one critical variable: people don’t trust those who never take a risk. If all we do is be trustworthy and never do any trusting ourselves, eventually we will be considered un-trustworthy. To be fully trusted, we need to do a little trusting ourselves. We often talk casually about “trust” as if it were a single, unitary phenomenon—like the temperature or a poll. “Trust in banking is down,” we might read. But that begs a question. Does it mean banks have become less trustworthy? Or does it mean bank customers or shareholders have become less trusting of banks? Or does it mean both? To speak meaningfully of trust, we have to declare whether we are talking about trustors or about trustees. The trustor is the party doing the trusting—the one taking the risk. These are our clients, for the most part. 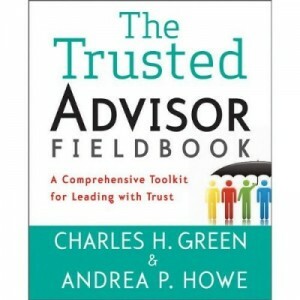 The trustee is the party being trusted—the beneficiary of the decision to trust. This is us, for the most part. But where is risk to be found? How can we use the trust equation to describe trusting and not just being trusted? How can we trust, as well as seek to be trusted? Notwithstanding Ronald Reagan’s dictum of “trust but verify,” the essence of trust is risk. If you submit a risk to verification, you may quantify the risk, but what’s left is no longer properly called “trust.” Without risk there is no trust. In the trust equation, risk appears largely in the Intimacy variable. Many professionals have a hard time expressing empathy, for example, because they feel it could make them appear “soft,” unprofessional, or invasive. If we take these small steps, our clients usually reciprocate. Our intimacy levels move up a notch, and the trust equation gains a few points. If we don’t take these small steps, the relationship stays in place: pleasant and respectful, but like a stagnant pool when it comes to trust. The intimacy part of the trust equation is the most obvious source of risk-taking, but it is not the only one. Here are some ways to take constructive risks in other parts of the trust equation. Be open about what you don’t know. You may think it’s risky to admit ignorance. In fact, it increases your credibility if you’re the one putting it forward. Who will doubt you when you say you don’t know? Make a stretch commitment. Most of the time, you’re better off doing exactly what you said you’ll do and making sure you can do what you commit to. But sometimes you have to put your neck out and deliver something fast, new, or differently.To never take such a risk is to say you value your pristine track record over service to your client, and that may be a bad bet. Don’t be afraid to occasionally dare for more—even at the risk of failing. Have a point of view. If you’re asked for your opinion in a meeting, don’t always say, “I’ll get back to you on that.” Clients often value interaction more than perfection. If they wanted only right answers, they would have hired a database. 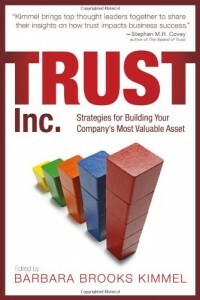 While trust always requires a trustor and a trustee, it is not static. The players have to trade places every once in a while. We don’t trust people who never trust us. So, if we want others to trust us, we have to trust them. Go find ways to trust your client; you will be delighted by the results. This post first appeared on RainToday. The Problem With Lying Are You Worthy Of Your Clients’ Trust?